The advantages of Industry 4.0 are obvious: digital networking of products and machines increases efficiency, saves resources and lowers costs. Continuous monitoring and transparent processes make companies agile. You can develop new products much faster and react to changes in the market. However, while larger companies are increasingly digitizing their processes and services and investing accordingly, there are still numerous reservations, especially among small and medium-sized enterprises (SMEs). Current studies show the reasons why these companies are opposed to end-to-end digitization. “The order books are full. We do not have time to deal with the issue of Industry 4.0. This is one of the most frequently put forward arguments”, explains Dr. Karsten Königstein, Managing Director of Sinfosy GmbH, Wildau. Other reasons are the frequent lack of IT resources and a difficult to assess return on investment. “We asked ourselves how we could get even more companies across industries interested in Industry 4.0,” said Königstein. Sinfosy GmbH, founded in 2015 as a start-up company, offers intelligent, standardized solutions that present production and logistics processes transparently and completely transfer communication to the digital world. The effective systems provide decisive prerequisites for continuous optimization and productivity increases. 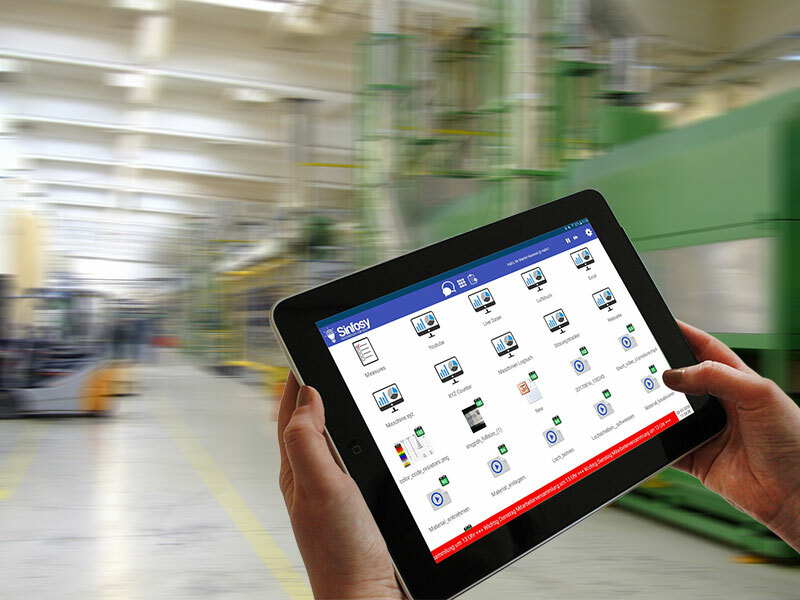 The product range currently comprises three system solutions: SCIP – a digital communication system for production that makes all necessary data available on smartphones, tablets or monitors on the shop floor. 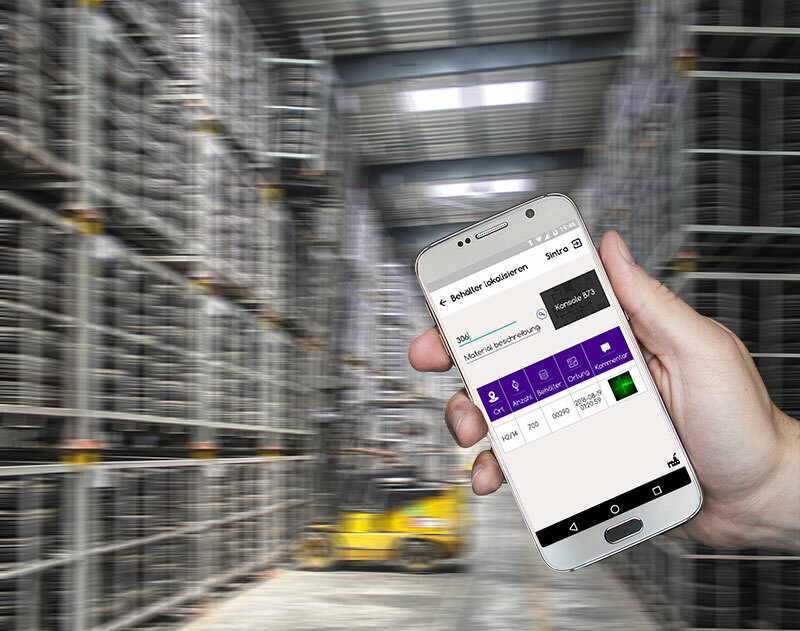 SINTRA is a real-time system for indoor localization of goods in production and logistics. 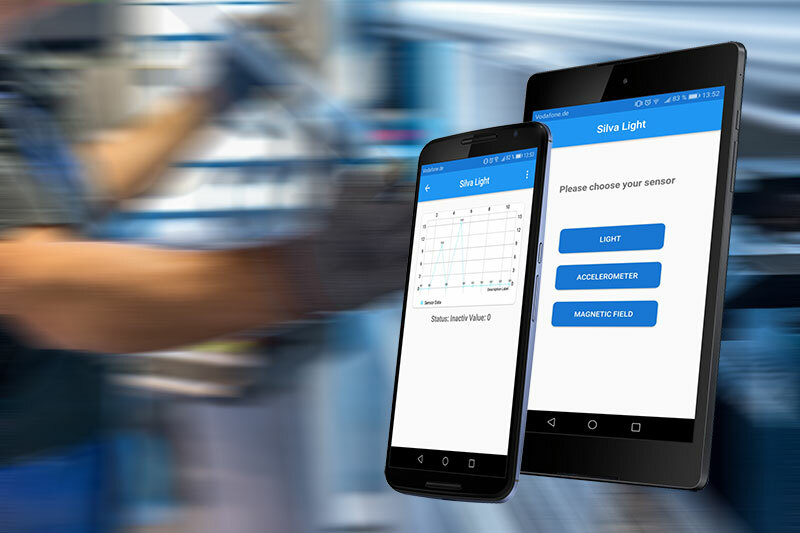 SILVA light is used for mobile machine data acquisition with mobile phone sensors. All systems are app-based. SINTRA and SILVA light work as end-to-end solutions, ranging from sensors to storage in the cloud. The applications are based on the “System as a Service” model. This means that Sinfosy operates the software and IT infrastructure required for the systems and makes it available to its customers as a service. These access the data provided for them via the Internet or in the cloud, usually via web browser or app. Customers only pay a usage-based monthly fee and low initial implementation costs. The systems can be used in many different ways and are individually tailored according to the use case. “Our customers do not need a time- and cost-intensive IT project. Also the usually expensive acquisition and the complex integration of software into existing company systems is omitted”, explains Dr. Königstein. “Our system solutions are quickly ready for use and have also quickly paid for themselves.” Sinfosy takes over the complete service including regular updates. As a rule, customers do not require any IT resources. Sinfosy’s systems are not only aimed at small and medium-sized companies. A major automobile manufacturer has already recognized the value of Sinfosy’s applications and is using them in production. 45 employees are currently working for the company, which was founded three years ago and is based in Wildau near Berlin. Investors involved are the Russian Kirov Group, St. Petersburg, and the Investitionsbank des Landes Brandenburg (ILB). In 2016 and 2017, Sinfosy GmbH was awarded the Metal Innovation Prize of the State of Brandenburg.